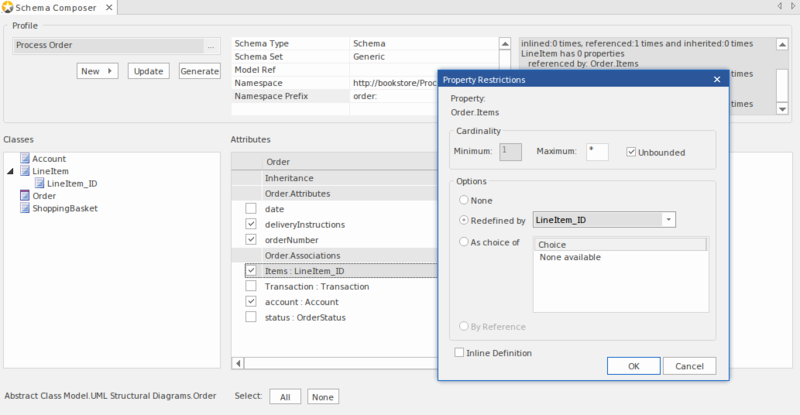 The Schema Composer is a versatile tool for quickly and easily defining a variety of formal schema from a model. 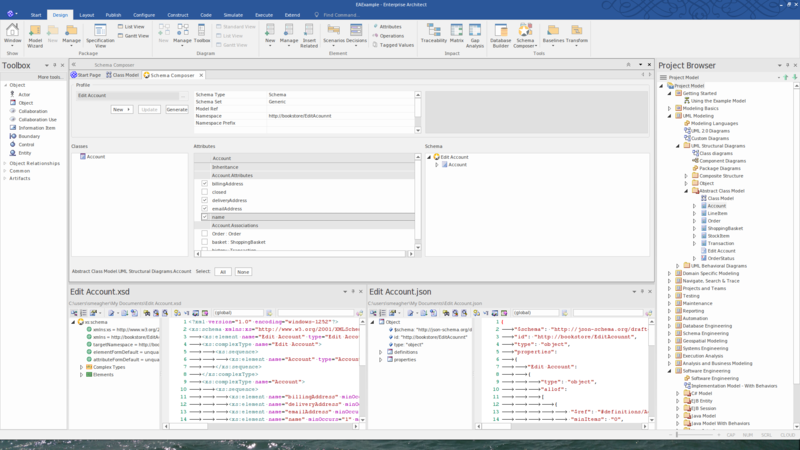 Due to the unique nature of the Schema Composer, it is not necessary to use a profile or stereotyped elements when building the definition of an XSD (or other) document. This greatly enhances the re-usability of the underlying model and helps alleviate the complexity that arises when dealing directly with XSD or other element types and restrictions. Many industries have worked hard over the last decade to define shared meta-models specific to their industry, and it is these models that now form the basis for contractual information sharing across organizations and across geographic borders. A typical usage scenario of the Schema Composer is in the creation of message definitions (schema) to exchange information between organizations, ensuring that such messages comply with the underlying meta-model that has been adopted by the involved parties. When information is shared between organizations, it is frequently the case that only a subset of the full meta-model is required, but it is essential that what is shared conforms precisely to the agreed meta-model. 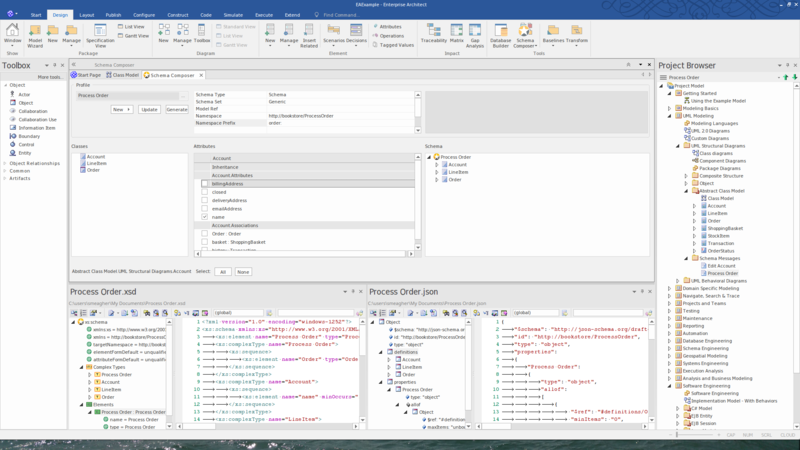 In this case the Schema Composer is the perfect tool for deriving contractual schema based on sub-sets and restricted data sets that take a 'slice' through the meta-model as a whole. The Schema Composer greatly simplifies the process of creating standards compliant schema in a re-usable and accessible manner. In this illustration, you can see how a simple Class diagram is used as the source for the Schema Composer to generate XML Schema. This series of images demonstrates how the schema composer can be used to generate a series of message schemas from a Class model. 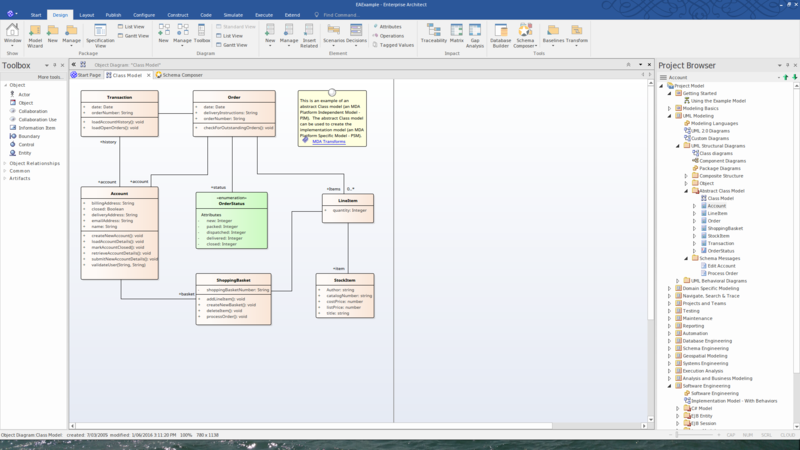 Figure shows a Schema Composition for the Process Order domain in the Example model.